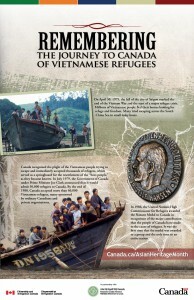 In May 2002, the Canadian government adopted Senator Vivienne Poy’s motion to designate the month of May as Asian Heritage Month. 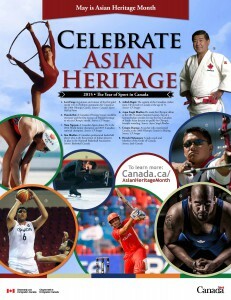 The month honours the contributions that Asian Canadians have made in society, and celebrates the diversity, history, and culture of people of Asian ancestry. Canada is recognized as a multicultural country that embraces all races, and ethnicities. Asian Heritage Month gives all Canadians an opportunity to acknowledge the legacy of Asian Canadians across Canada as well as their outstanding accomplishments in an eclectic of fields. 2015, in particular, has been dedicated to the year of sports in Canada. Some distinguished individuals include, Nam Nguyen, Lori Fung, Pamela Rai, and Hiroshi Nakamura.